According to THR, Warner Bros is "courting" Mel Gibson to direct Suicide Squad 2, but they're still in the early talks phase, so it's far from a done deal. Gibson is apparently familiarizing himself with the comic book source material, and while the studio is keen on working something out with him, they're still looking at other directors for the job. 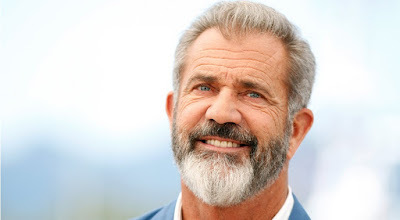 Mel Gibson has been a well-known Hollywood actor since the early 1980s, but when it comes strictly to directorial work, he's made quite a name for himself, with his credits including Braveheart, The Passion of the Christ and Apocalytpo. His latest directorial project, Hacksaw Ridge, earned great reviews and has been nominated for six Academy Awards. No plot details have been revealed for Suicide Squad 2 yet, but like its predecessor, it will follow a group of incarcerated super-villains who are sent on dangerous missions by the government in exchange for reduced sentences. It remains to be seen which of the still-alive members of the Squad will return and who the new members will be, but since the movie is reportedly being "fast-tracked," expect to see it sooner rather than later.